Accessible, refreshingly candid, but above all helpful, this pragmatic guide addresses a real need by dealing with the problems that face the new IT manager. By providing a number of practical recommendations and approaches including how to make the transition from technical professional to manager and dealing with people, to giving advice and guidance on organization structure, architecture and planning approaches, this book covers a whole raft of issues essential to managing an IT unit. If you have chosen to move from the safe haven of technology to the unpredictable world of management, this book could make the difference between success and failure. 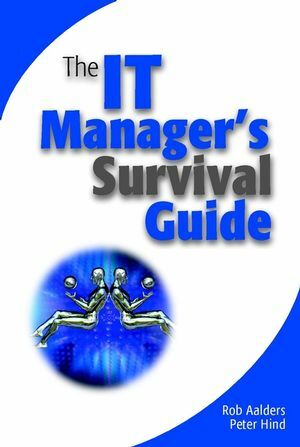 "The IT Manager's Survival Guide is well named. Aimed at the techie becoming an IT Manager it covers the many alligators of IT management - from legacy systems to managing vendors - in easy chunks with checklists. It also provides the new manager with help to get ahead of the game by including articles from experts on what is wrong with IT management and a set of short reviews of management theorists from Strassman to Mayo. I recommend this book for those who would like to buck the trend - the average tenure of an IT Manager is about 900 days - and run an IT outfit appreciated by customers and staff." Gill Ringland, Fellow of the British Computer Society and Member of the BCS Management Forum. Author of Scenario Planning: Managing for the Future. Foreword by Sir Ron Brierley. Taking stock of your assets. Appendix A Yukl's Specific Behaviours for Managing Relations. Appendix B Business initiative proposal. Appendix C Thorpe's 4 Rs. Appendix D1 Jacques' time span. Appendix D2 Jaques' complexity measures. Appendix F Examples of principles.